The first step in the development of a source protection plan was the preparation of a Watershed Characterization Report. The Watershed Characterization Report for the Cataraqui Source Protection Area was completed in March, 2008. The report presents information about the watershed, based on the best data available at the time of publication. 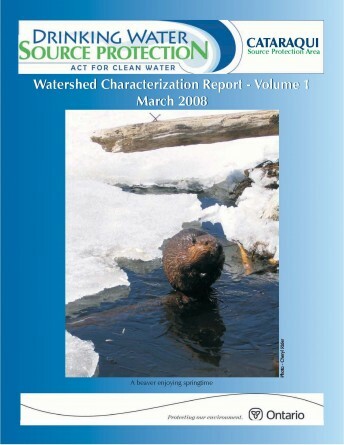 The report compiles all of the information available for the Cataraqui Source Protection Area (CSPA) in subject areas ranging from: the physical, climatic, and biological characteristics of the CSPA, the human population in the CSPA, surface water and groundwater quality and quantity, as well as issues and concerns about drinking water in vulnerable areas.